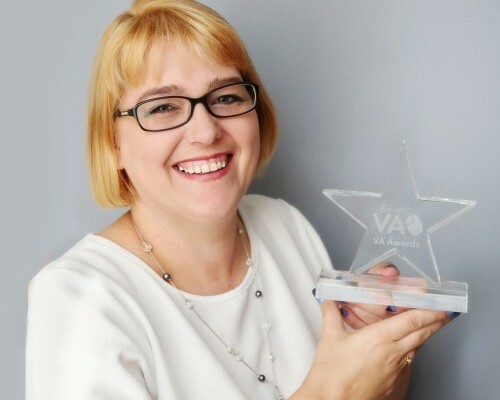 Entrepreneur Donna Redshaw has been named Virtual Assistant of the Year for the South West. The 38 year old mother of two from Swindon will now go forward to the national finals of the UK’s Virtual Assistant of the Year. She runs her own company in the town, Diamond PA Services. Donna Redshaw saw off hundreds of other contestants for the regional title and will be heading off to London’s Olympia in October to take part in the final of the awards which are sponsored by BeMyVA. Donna, who got her first admin job at the tender age of 16, puts her success down to a varied career, which has involved supporting people from the CEO of a company to the most junior assistant. She started as an import and export clerk at Intel in Swindon and then went on to work for a company supplying shelving and display furniture for major supermarkets, which meant ensuring every nut and bolt was included. Donna has also run a cake shop where she designed and made the cakes and then worked for a property search company until she was made redundant. “I’ve always enjoyed problem solving and being resourceful,” said Donna. “All the jobs I’ve done have had high attention to detail. I have also done party planning, run my own pub and spent seven years as a childminder. That includes husband David and 18 year old son Corey and daughter Carla-Mai (13). Donna launched her own company, Diamond PA Services, in October 2012. She began working from home but now has her own office and a growing team of staff and clients. As if that isn’t enough to keep her occupied, Donna has also been training for the Pitman PA Diploma and the Advanced Diploma which has involved taking 35 exams. She has just five left to take and to date has achieved distinctions in 29. Diamond PA Services, based in Haydon Wick, Swindon offers a virtual assistant solution helping business owners deal with day-to-day administration. Services include telephone answering service including one-off holiday cover, day-to-day office requirements, book-keeping and data entry.